Get competitive quotes on outdoor advertising in Charleston! 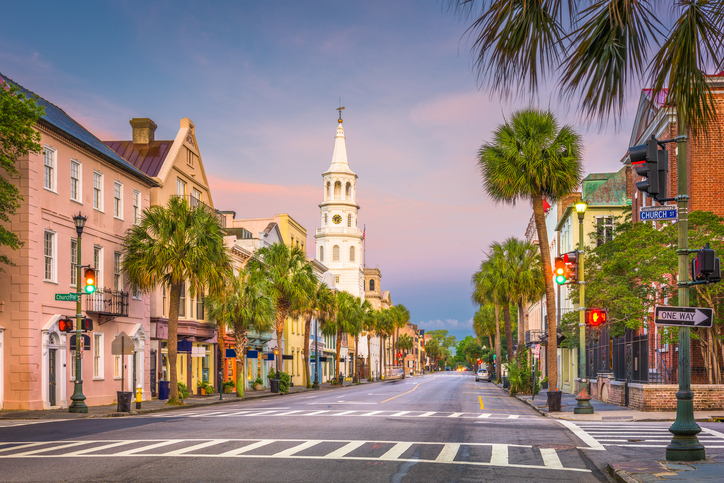 Charleston is full of history and serves as a great spot for outdoor advertising. The most populous city in the state is home to the unique Patriots Point Naval and Maritime Museum and Gibbes Museum of Art. Tourists regularly visit the charming Rainbow Row and Dock Street Theater. Charleston is also a sports town and regularly hosts games at the MUSC Health Stadium. Consider a billboard along I-26 near the Charleston International Airport, I-526, or near International Boulevard by the North Charleston Coliseum and Tanger Outlets Charleston. Select an ad type below to find out more. You can also check out BillboardsIn’s extensive database to get started on your campaign in Charleston.